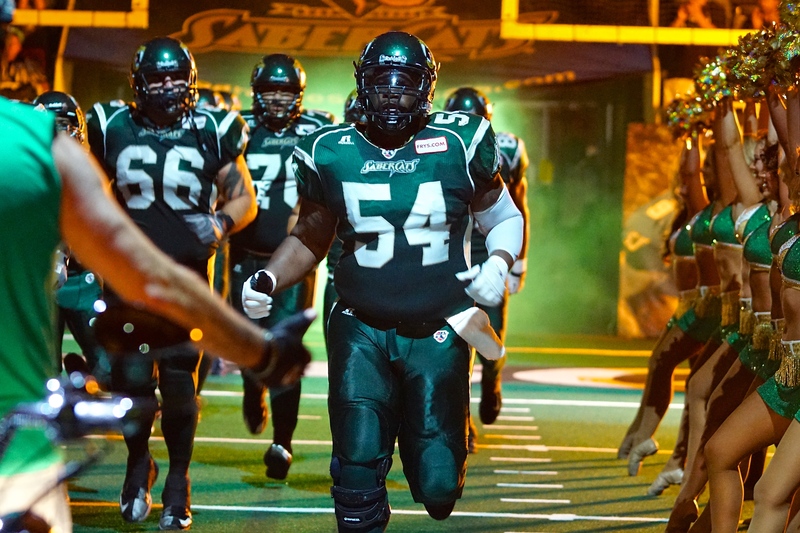 SAN JOSE – The San Jose SaberCats (16-1) will hit the road for the regular season finale in an interstate matchup against the LA KISS (4-13) on Saturday, August 8th at 7:00pm PDT. Fans can catch all of the action on ESPN3, the Watch ESPN APP and on radio 1220AM KDOW. The SaberCats have been on a roll with a five game winning streak, though the only blemish on their record was due to the efforts of the KISS. 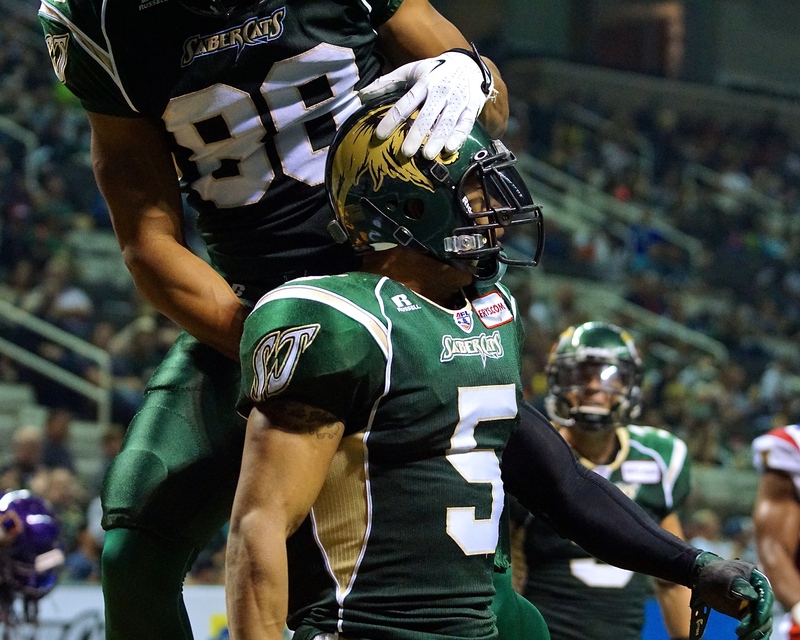 In a week 12 matchup back in June, the SaberCats trailed 42-35. San Jose scored on a touchdown pass from Meyer to Gray to tie the game as time expired in regulation. In overtime, the KISS stopped the SaberCats on fourth down, taking over on downs and winning the game on a 16-yard pass from Danny Southwick to DeMarco Sampson. 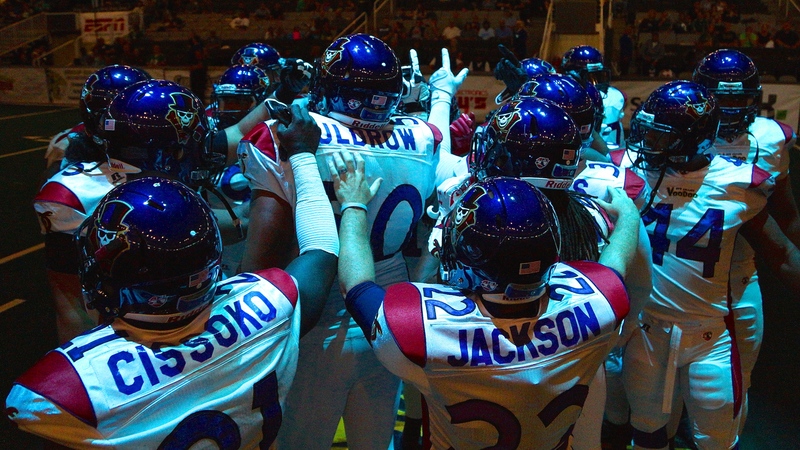 Last week, San Jose held off the Arizona Rattlers in a convincing, 56-29 home victory on Fan Appreciation Night. One of the premiere passers in the league, quarterback Erik Meyer orchestrated the attack on offense, which outscored the Rattlers 27-3 in the second half. Meyer threw eight touchdown passes, including three each to receivers Reggie Gray and Maurice Purify. Meyer is ranked among the league leaders in passing yards (3,937), touchdowns (91) and has thrown the least amount of interceptions (six). Gray, leads the league with 44 receiving touchdowns (47 total), 158 receptions and is tied for fourth with 1,659 receiving yards. The defensive unit for San Jose continues to flourish, ranking number one in the Arena Football League surrendering an average of 36.7 points per game. Against the Rattlers, the SaberCats forced two turnovers, totaled three sacks and held Arizona to a season-low 29 points. 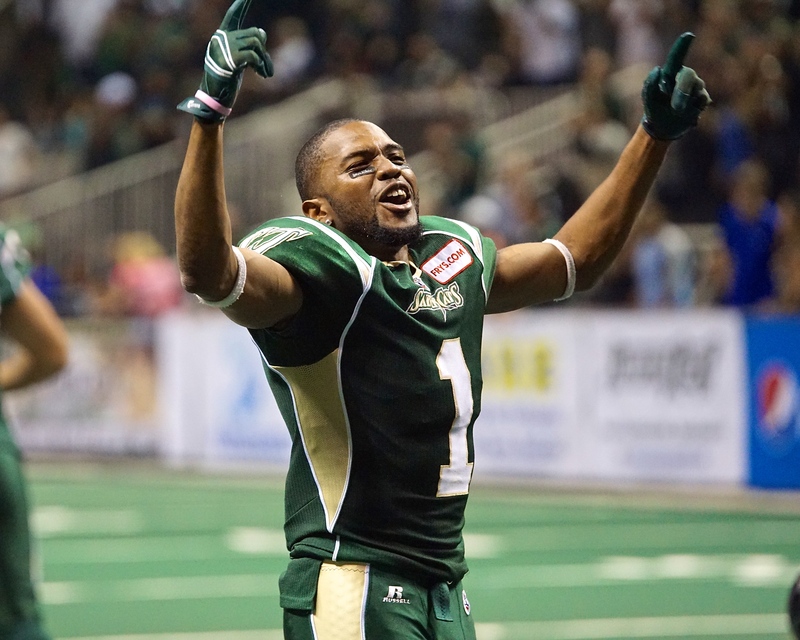 Defensive back Ken Fontenette has already set a franchise record for most tackles in a season and leads the AFL with 146.5 total tackles and is second with 12 interceptions. Roaming the secondary along with the legendary Clevan Thomas and standout rookie Fredrick Obi, the SaberCats have registered 31 interceptions and 80 pass breakups collectively. In the trenches, San Jose has a league-high 43 sacks, with three players ranked in the top seven. Francis Maka is second in the AFL with 11 sacks, while defensive tackle Jason Stewart has 10 and defensive end Donte Paige-Moss has 9.5, including 1.5 last week against Arizona. For the KISS, the defense has been a major contributor to the recent success over the past two months. With the addition of Rayshaun Kizer, who leads the team with 66 tackles, 14 pass breakups and five interceptions in nine games, LA has held three of its past four opponents under 40 points. Attempting to keep its playoff hopes alive, the KISS dropped a heartbreaking loss last week on the road against the Tampa Bay Storm. Trailing 34-31 with 15 seconds remaining, Storm quarterback Jason Boltus connected with T.T. Toliver on a 15-yard touchdown, giving the Storm the edge. With the win last week over Arizona, San Jose clinched the number one overall seed and home field advantage throughout the playoffs, including the ArenaBowl. 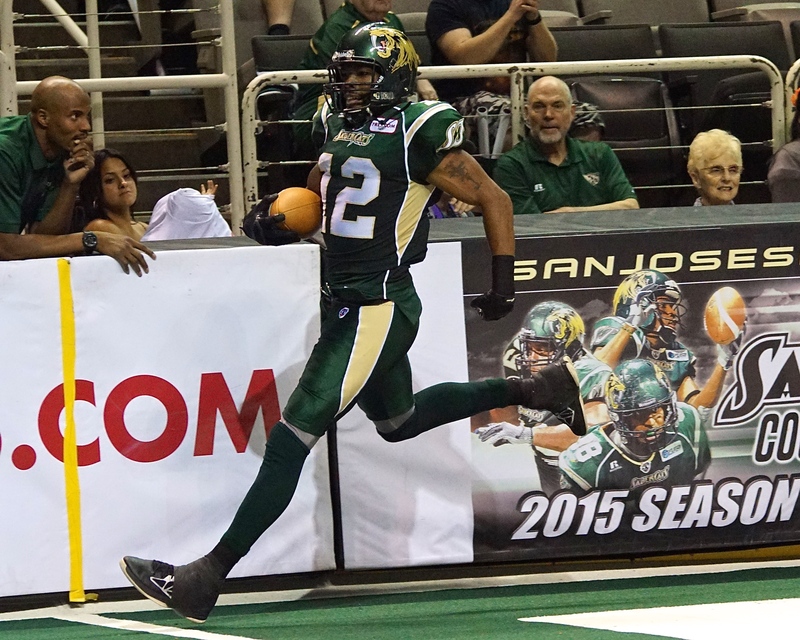 SAN JOSE – With a record breaking performance, the San Jose SaberCats (14-1) cruised past the New Orleans VooDoo (2-12) 56-35 at the SAP Center on Friday night. 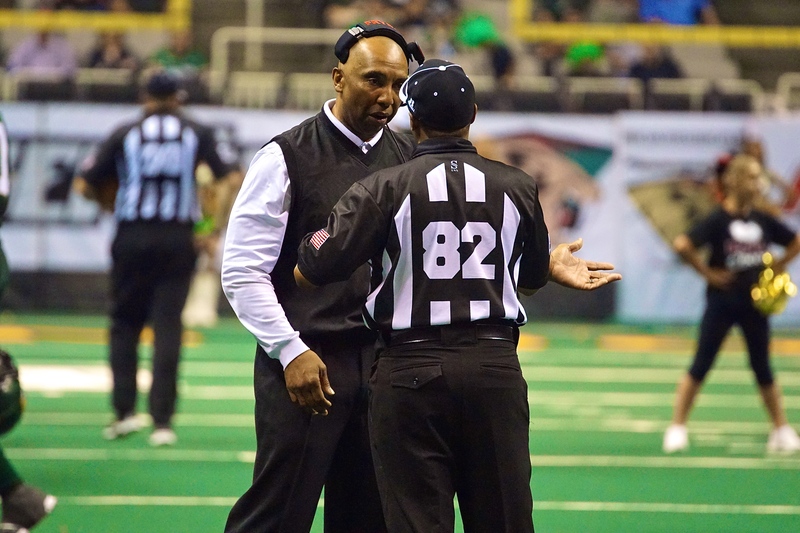 In the third quarter, defensive back Ken Fontenette broke current SaberCats’ Assistant Head Coach Omarr Smith’s franchise record of 114 total tackles in a season, set in 2008. Fontenette also set a season-high with 17.5 tackles in a single game. 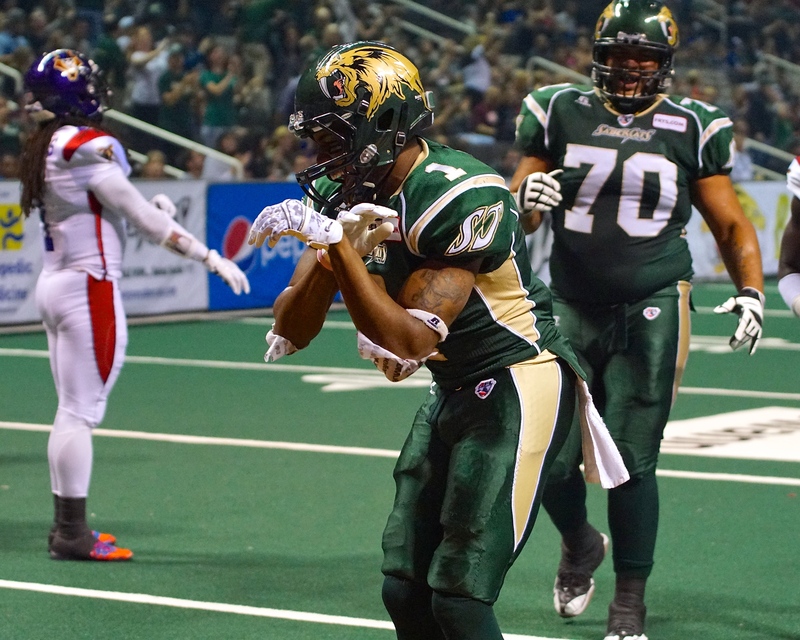 On the opening drive, the VooDoo drove down into the SaberCats’ territory before veteran defensive back Clevan Thomas halted the drive by making a one-handed interception in the end zone. Taking advantage of the turnover, the SaberCats got on the board first when Reggie Gray hauled in a 13- yard touchdown pass from quarterback Erik Meyer. On the ensuing drive, VooDoo quarterback Adam Kennedy threw his second pick, this time by a diving effort from Fredrick Obi, his fourth interception in four games this season. San Jose capitalized on its fortune with a 10-yard touchdown reception by Darius Reynolds, extending its lead to 14-0. Reynolds finished with seven receptions for 73 yards and the one touchdown. The VooDoo would answer, as Chris Duvalt, the leading receiver for New Orleans, grabbed an 11- yard touchdown, cutting the San Jose lead to14-7 with 4:35 remaining in the second quarter. Duvalt finished with a game-high 15 receptions for 165 yards and added three touchdowns. 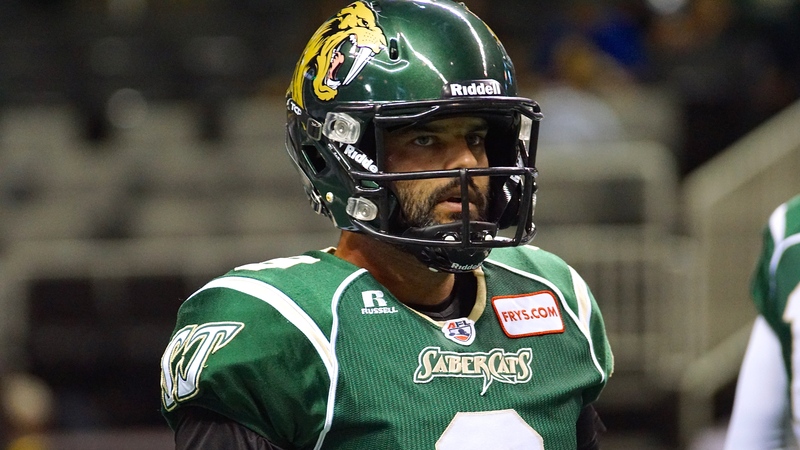 After trading touchdowns, San Jose extended its lead when Meyer scrambled in from the one-yard line for the score as time expired in the first half, giving the SaberCats a 28-14 halftime lead. Meyer finished with 229 passing yards, completing 76.7-percent of his passes, throwing for seven touchdowns, adding another on the ground. 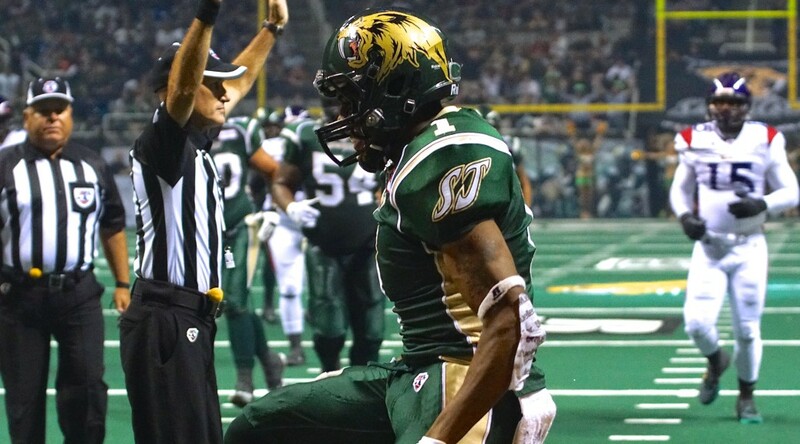 Late in the third quarter, San Jose forced a New Orleans turnover on downs, scoring immediately as Meyer lofted a beautiful touch pass for Ben Nelson, who made an over the shoulder catch in the end zone before crashing into the boards, extending the SaberCats lead to 42-14. 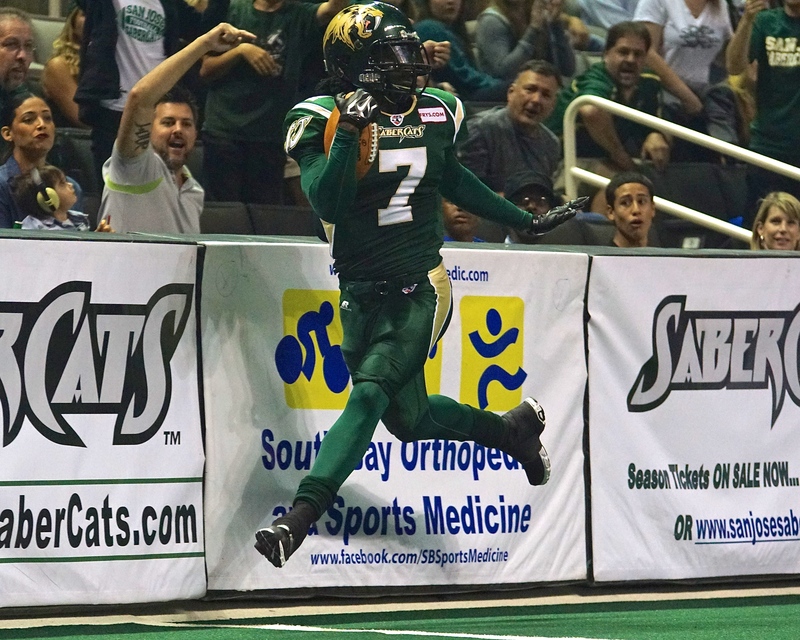 The VooDoo would answer on a 14-yard touchdown pass from Kennedy to Johnny Lester, cutting the SaberCats lead to 42-21. However, the SaberCats remained in control, as Meyer would connect with Gray for two more touchdowns in the fourth quarter. Gray finished with a team-high nine receptions for 92 yards and four touchdowns and is now two receptions away from breaking Rodney White’s franchise record of 134 receptions in a season, also set in 2008. Leading the league with 40 sacks on the season, the SaberCats added three, led by defensive lineman Jason Stewart, who had two. Stewart brought his season sack total to 10, joining teammate Francis Maka (10.5) as the two lone SaberCats with double-digit sacks on the season. 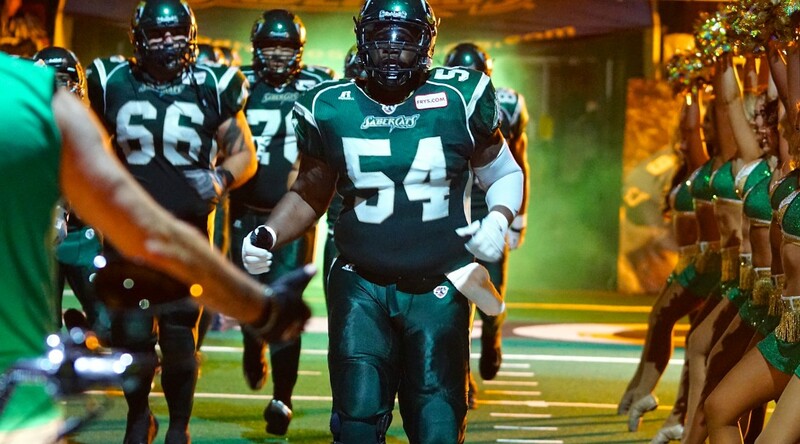 Rich Ranglin, the 2014 AFL Offensive Lineman of the Year, added a 13-yard touchdown reception in the second quarter, bringing his total to six touchdowns on the season, doubling his total of three a year ago. 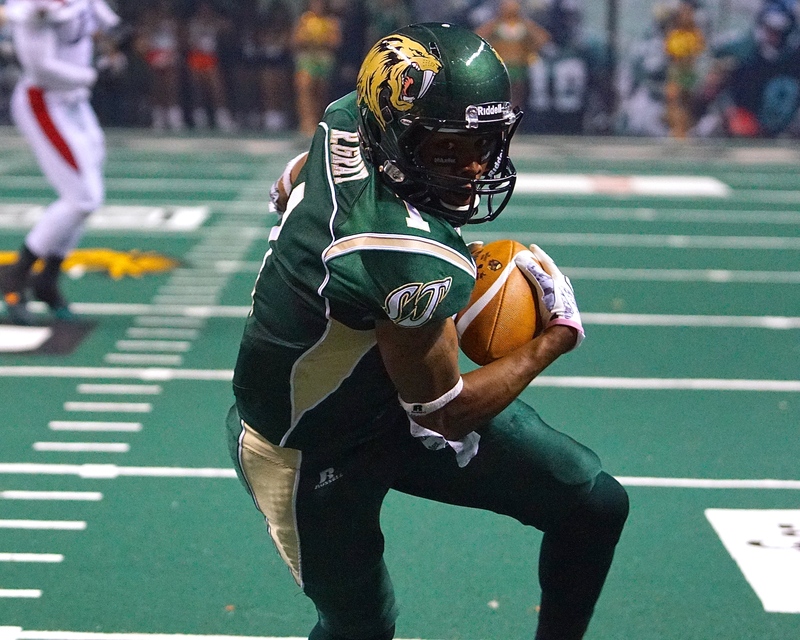 Next week, the SaberCats will host Pacific Division foe the Portland Thunder on Saturday, July 18th in the third and final regular season games between the two teams.